Marissa: I read a lot about authors feeling disillusioned about publishing these days. Yes, there is a lot of badly edited rubbish out there at the moment, and it's hard to get noticed by readers, but at the same time authors are living in world where we can now reach readers directly. The playing fields have been levelled, and now anyone can have the opportunity that was only ever given to a very lucky few. 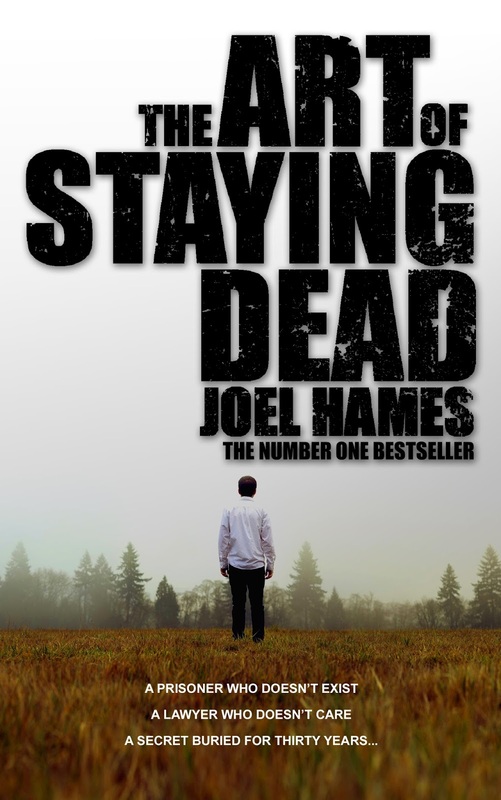 When I read this guest post by fellow Brit author Joel Hames, it took me back in time. I was one of those people who sent in manuscript after manuscript to traditional publishing houses. I paid for self addressed envelopes and printing when I really couldn't afford it. I scrolled thorugh the Writer's Handbook and bought new copies each year. I did this for seven years until I finally had a small publisher take a chance on me. So, for all those authors who have self published but are struggling to find an audience - at least your work is out there. Even if you're only selling a handful of copies a month, at least it's being read by someone. Back in the old days, as you'll learn from Joel's following story, things were even harder in the industry than they are now. The Tale of the Publishing Internship, a lesson for the unwary writer. It's 1995. Summer has gone, university is already a distant memory, I sit there with my oh-so-useful degree in English Literature (from the finest university in the world, but still, it's English Literature) and I wonder what, precisely, I'm going to do with it. Family and friends are advising me to do something sensible, law, perhaps. Finance. Accountancy. I nod at them, and smile, and shiver inside. None of them know that the only thing I really want to do, the only thing I've ever really wanted to do, is write. And to get some kind of an idea how that works, I'm applying for work experience at a publishing house. There's no need to tell you which publishing house it is. It's a major one, a biggie, you've heard of it, it sits in an absurdly artsy building on the western fringes of central London, and it publishes "serious", "award-winning" writers, the commercially successful ones, who get films made out of their books and translated into every language you can think of, plus a few you can't. All the women are called Persephone or Ophelia, petite, with small, permanent smiles and perfect hair. The men are all Julian or Tristram, and their hair is even better. They haven't had an intern there for some time. They don't know quite what do with me. Eventually someone has a wonderful idea. "Look at all these!" she exclaims, pushing a trolley laden with thousands of sheets of paper through the office. I forget her name. Let's call her Hecuba. "You studied English, didn't you, erm, you, yes, didn't you?" Hecuba has forgotten my name. There are only a dozen people working there and she's forgotten my name already. "Excellent. You can read these." "These", it emerges, are the unsolicited manuscripts this great publishing house has received from aspiring authors over the last eight years. This is 1995 - email and the internet existed, certainly, but hardly anyone had them. For eight years, writers have been slaving away on their old-fashioned word processors - and, in some cases, typewriters - printing their works, forking out the exorbitant costs to post them to this central London address. And in all that time, not a single word of a single manuscript has been read. "Just flick through the first couple of pages of each one," advises Hecuba. "If you happen to find one that isn't rubbish, let me know. But you won't." What do I know about modern, commercial literature? I can deconstruct a Shakespeare romance in the blink of an eye, expound on the reasons behind Milton's reluctant acceptance of the epic form, make some kind of sense of Finnegans Wake. I am, in short, a recently-pretentious, more-than-averagely-intelligent English literature graduate. But what makes a modern novel sell? Call me Dumbo. As it turns out, for the most part, Hecuba isn't far wrong. The majority of the manuscripts are awful. But even they surely deserve better attention than mine, and certainly in a shorter timeframe? Some I judge to be rather reasonable. Some are better than reasonable. Some writers, knowing no better (and in the absence of all-knowing Wikipedia, how should they?) have submitted poetry: long, epic poems, short lyric poems, great collections of verse of varying quality, admittedly, but the product of months and years of intellect and emotion and sweat. "We don't do poems here," Hecuba tells me. "Write back and tell them to submit to our sister imprint, T___ Books." And so letter after letter is drafted, my signature at the bottom, as if I were some all-wise arbiter of literary success. "I regret to inform you that...."
"Unfortunately, the criteria for publication are such...."
"Whilst I found the subject matter intriguing, the current market for...."
I've been ploughing through this monolith of literary aspiration in chronological order, so it shouldn't really surprise me when I come across resubmissions, or letters from authors wondering whether their prior submissions had even been read. A certain poet, a Mr D___, not a great writer by any means (poetry I can judge), but not a bad one, has written again, a year after his initial submission, seeking some form of feedback, good or bad. He writes by hand. And then again, a year later, wondering if we could see fit to return his verse, because he has no other copy. It was typewritten, you see. The manuscript in my hand is the only one, his monument more lasting than bronze. The writing is shakier, I note, than it had been just a year earlier. And this, the final blow, a letter from the same address, but in a different hand. In the widow's hand. Her husband passed on some months ago, she writes, and she has been unable to locate any of the verse he composed and would read to her in the evenings, by the fire, in happier times. More than anything she would love to find it. Have we any ideas? "Oh no," says Hecuba. "We can't afford to go sending great piles of manuscripts back to people. If they were stupid enough not to keep copies, the more fool them." I pay the postage myself, and walk out of the building, never to return. I became a lawyer, and then, for a while, I worked in finance. It was not until 17 years had gone by, and the self-publishing revolution had arrived, that I decided I might, perhaps, try writing something after all. "A non-stop thriller that gets your heart racing from page one and doesn’t let up until the end. Fans of Kernick, Child or Grisham will not be disappointed." A prisoner who doesn’t exist. A lawyer who doesn’t care. A secret buried for thirty years. Sam Williams’ idea of an important decision is whether to have another kebab for lunch. He’s spent ten years running away from other people’s pain, and he’s learned not to look back. Sam needs a client, and for a human rights lawyer with a flexible conscience and an impatient landlord, a high security prison seems a decent bet to find one. But now the bodies are mounting up, the decisions are getting serious, and the pain isn’t someone else’s any more. Someone wants him dead, the police would like a word, and there’s nowhere left in London to hide. If Sam wants to stay alive, he’s going to have to stop running and figure out why. Joel Hames lives with his wife and two daughters in rural Lancashire, England, which is like a cross between Tolkein’s Shire and The Wicker Man. After a career doing technical things with words, money and bits of paper, Joel decided it would be much more fun to be a novelist, and wrote Bankers Town in 2014. The Art of Staying Dead, the first Sam Williams novel, followed in 2015. When not writing or spending time with his family, Joel likes to eat, drink, cook, and practise long-distance assassination techniques using only the power of his mind. So far, results have been mixed. If you want to know what Joel has planned for the future, what he thinks right now, or just stalk him a little, you can find him on Facebook at facebook.com/joelhamesauthor, on Twitter at @joel_hames, or through his website at www.joelhamesauthor.com.